There are short sets and then there are Montique brand short sets. Montique not only is well known for their stylish walking suits but also do their thing with their collection of mens short sets that have the same attention to detail and style. 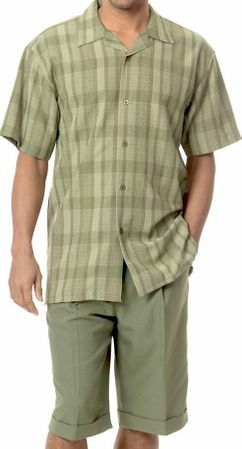 This olive color short set features a woven style shirt with the contrasting fabric knee length shorts.